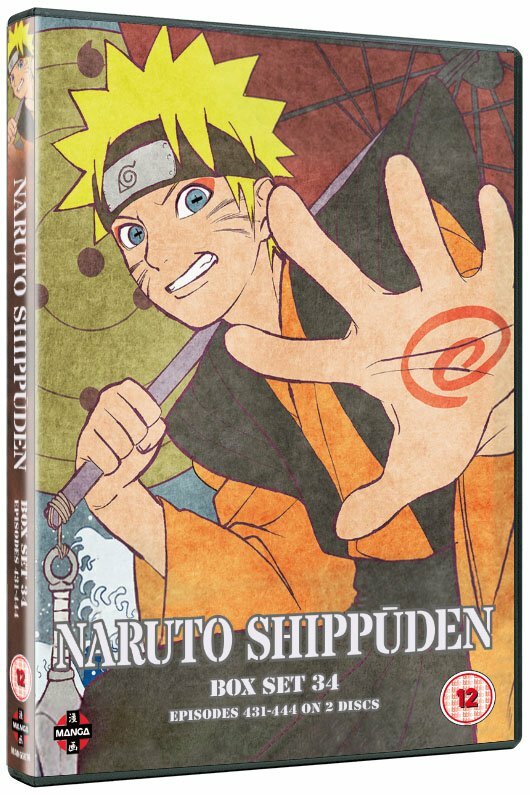 Naruto Shippuden Box Set 34 contains Episodes 431 to 444, all of which are entirely filler, filler produced after the last volume of the original Naruto manga had already been printed, making it technically pointless, other than Studio Pierrot and TV Tokyo just wanting more money… which is a logical thing for a company to want, but it doesn’t change the fact that filler for the sake of milking the series for longer is even more annoying than filler that existed to stop the anime from catching up to the source material. 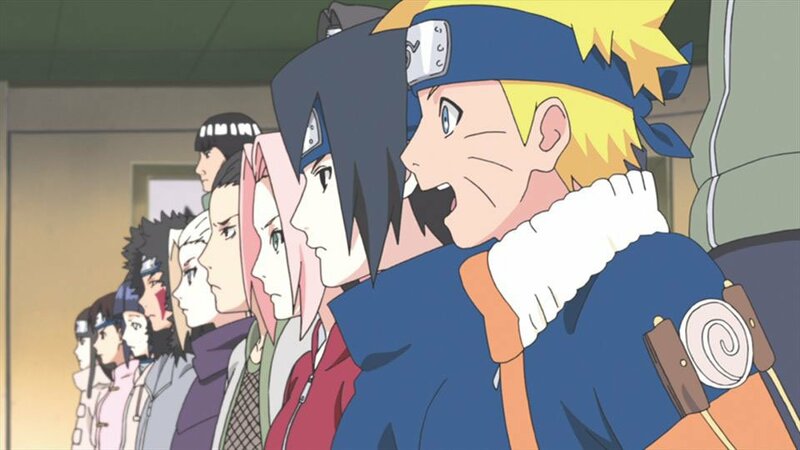 The premise of these filler episodes come from the fact that the majority of the cast are currently under an illusion called the “Infinite Tsukuyomi”, which makes them dream their ideal world for eternity. The first episode of the set sees side character Karin’s ideal world, which involves lots of Sasuke looking handsomely at her… It’s, er… not great. Episode 432 onwards is the big offender though. We see Hokage of the Hidden Leaf Village Tsunade’s ideal, which involves her sitting down to read her old friend Jiraiya’s last novel, one he never finished writing before his death, and one that was based on people and incidents he lived through. The rest of these episodes are adaptations of this fictitious novel within the dream of Tsunade, so apparently Tsunade is dreaming of her imagining what she’s reading in Jiraiya’s book… bizarre, to say the least. I’m convinced this was conceived as a filler arc of just Tsunade reading the unfinished book, but when they realised they wouldn’t be able to fit it in, they reworked it to be Tsunade’s “Infinite Tsukuyomi” dream, ignoring that the idea of someone dreaming themselves imagining a book they’re reading is just… stupid. 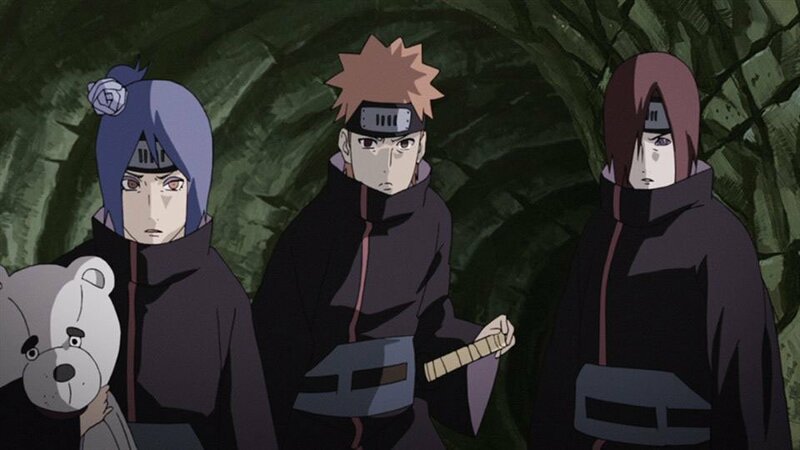 So, the gist is classic Naruto plot points, but reworked based on new events like Naruto’s father Minato surviving the Nine-Tails attack, and Sasuke’s brother Itachi not killing all the Uchihas, that sort of thing. Doing a “What If?” isn’t the worst idea for a filler arc, but the pacing is terrible here; like I said, it starts at Episode 432 and by 444 it’s still going on, and when you combine that with the fact there isn’t any reason to stretch the series out like this, it makes it far more of a bitter pill to swallow. “Kaze” by Yamazaru holds on to its spot as the Opening for one more episode, before “LINE” by Sukima Switch takes over for the rest of the episodes. The first ending is “Niji no Sora” (“Rainbow’s Sky”) by FLOW also for Episode 431 only, before “Troublemaker” by KANIKAPILA takes over for the rest of this set’s episodes. As per usual, only clean openings, endings and trailers exist in the extras menu. So, short but sweet review… or should that be short but bitter? This is one of those rare cases where you can actually skip this entire release, pick up Set 35 and not have missed anything. 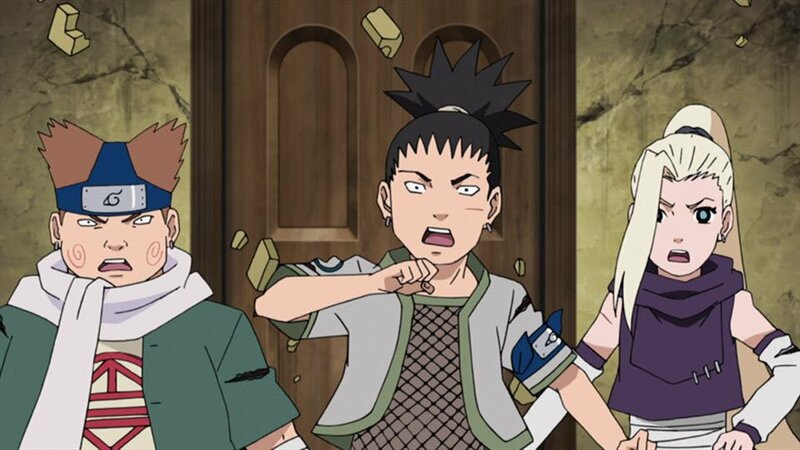 In fact, looking ahead, most of 35 is filler as well, so you could pretty much pick up Box Set 36 to actually continue the adaptation of the manga… sigh, oh well, Naruto filler is like some sort of annoying tradition, you start to get used to it after a while, whether you like it or not… Until next time!